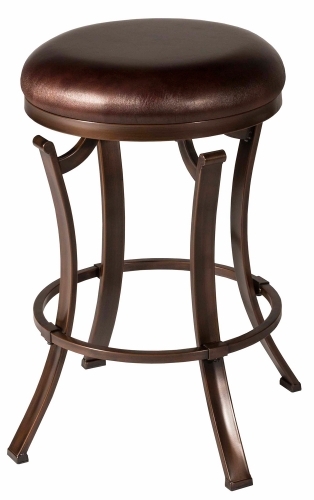 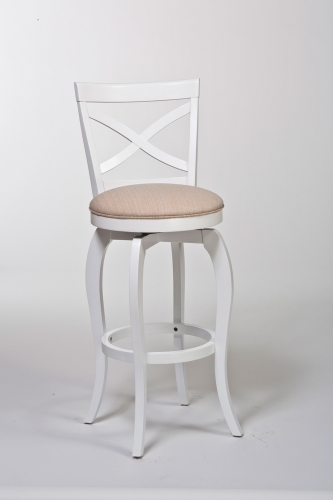 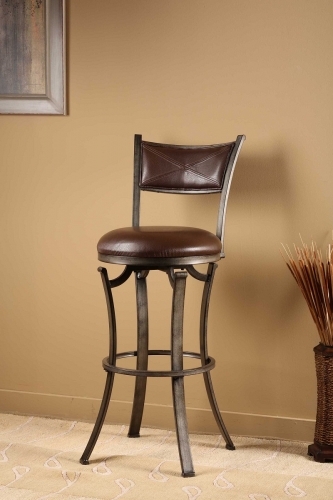 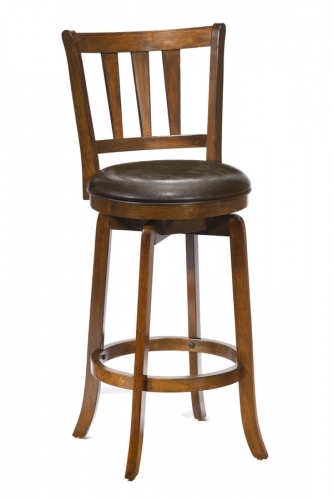 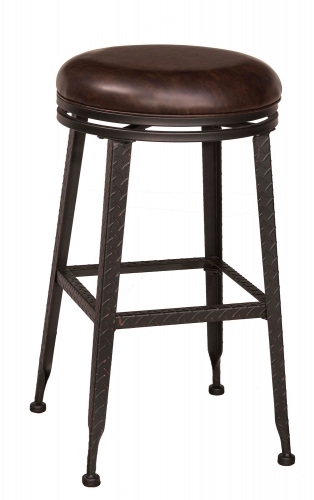 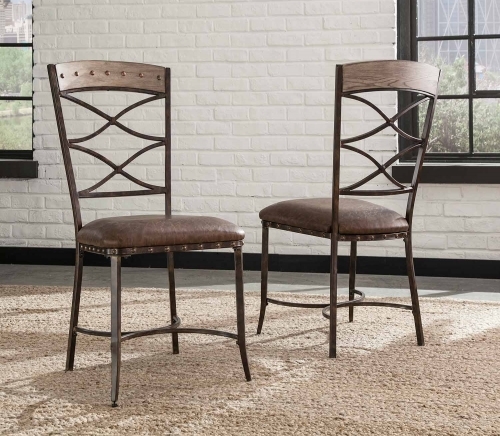 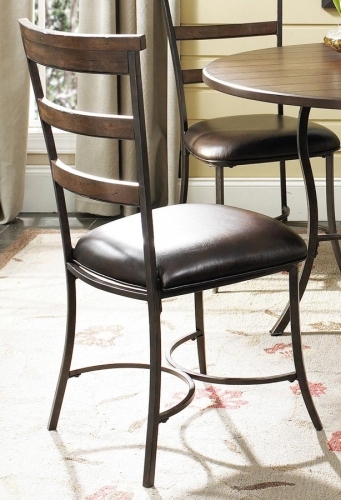 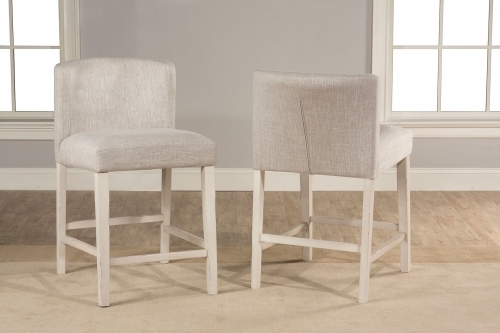 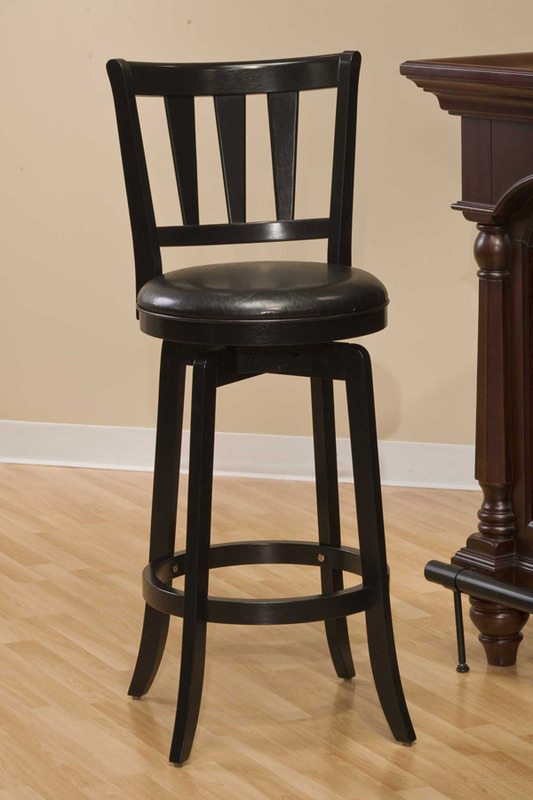 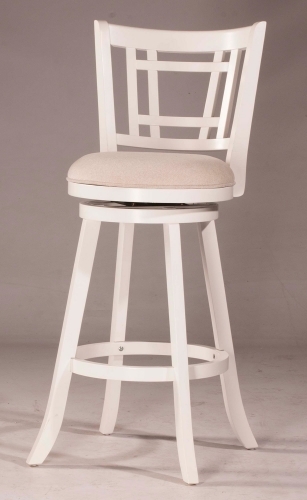 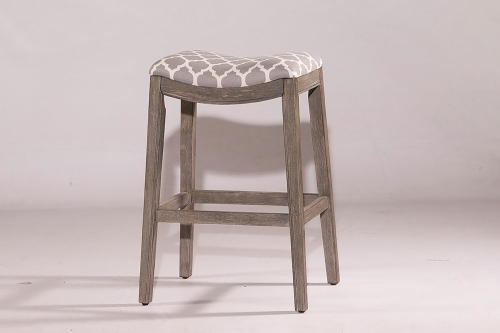 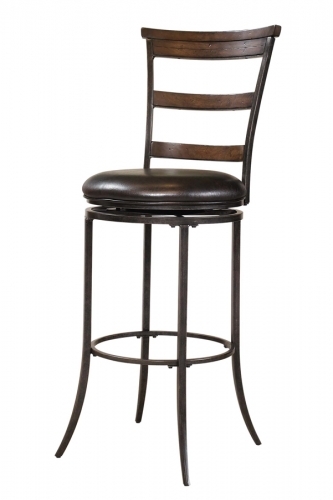 Hillsdale Furniture’s stately Presque Isle stool has a sturdy base with flared legs. 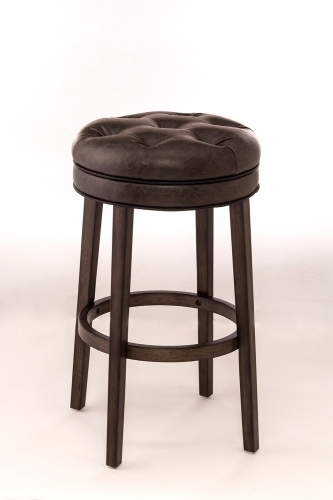 The back has an interesting tapered spindle design and the seat is covered in easy to care for vinyl . 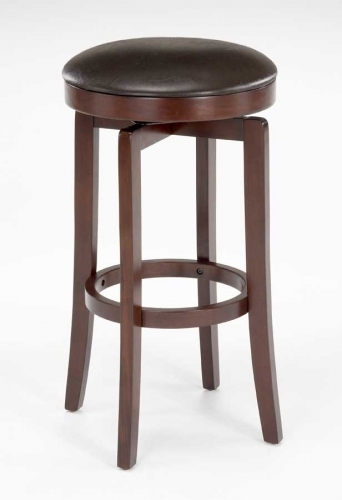 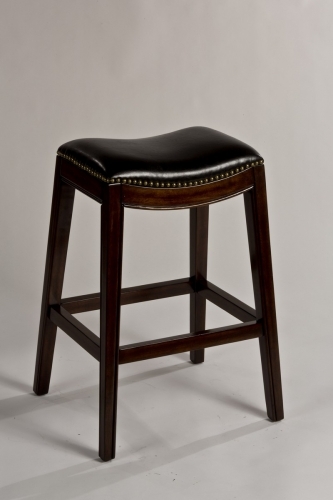 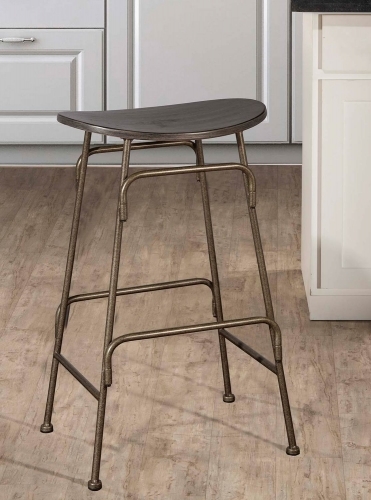 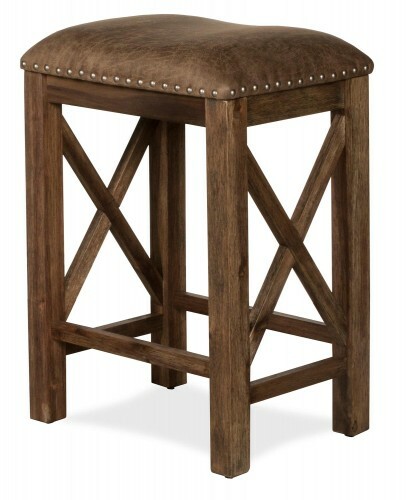 This handsome stool is available in either a black finish with black vinyl or a cherry finish with brown vinyl. 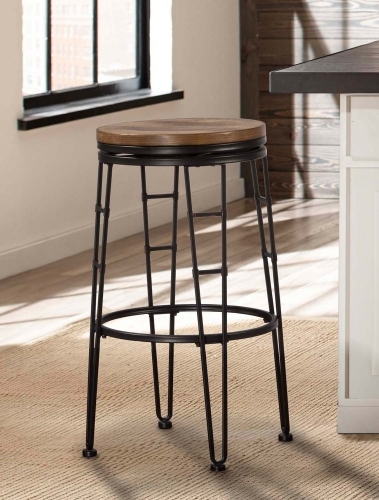 Exuding a warm, rich ambiance and constructed of hardwood, these stools are a wonderful addition to any kitchen or home bar area.